You know us and how much we love trying new products, especially when it’s childrenswear (our last Baba Fashionista with a fab giveaway is here by the way!) or something related to food! But for once, we will surprise you. Indeed, today we are reviewing a special gadget: the Illumibowl. It’s THE item to have in the bathroom from the US. You will discover soon why! 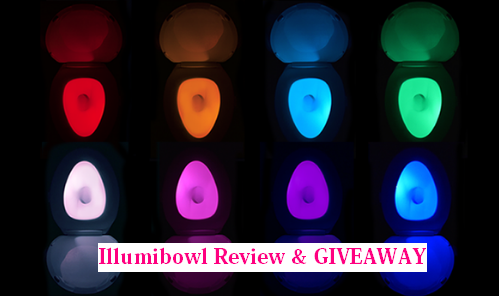 Enjoy our new Illumibowl Review and don’t forget to enter our GIVEAWAY at the end! We have teamed up with this excellent brand and we have 3 of these wonders to give away to our super lucky lecteurs! I know what must think while reading those lines. 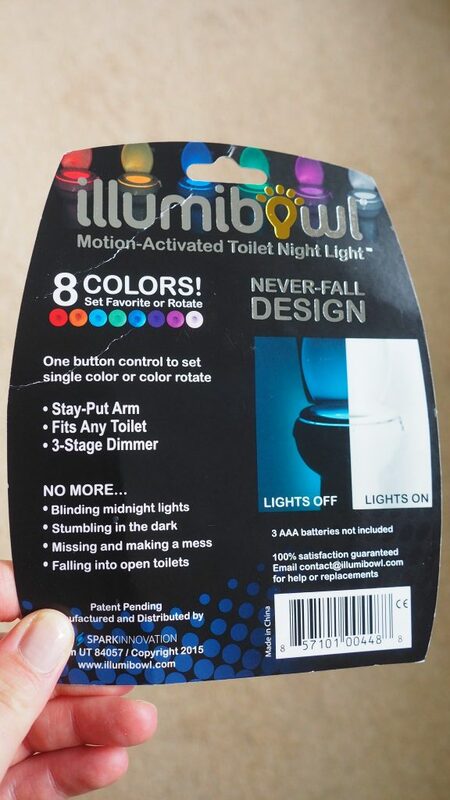 But what is Illumibowl? Well chers lecteurs, this is THE gadget your want in your bathroom, just because! 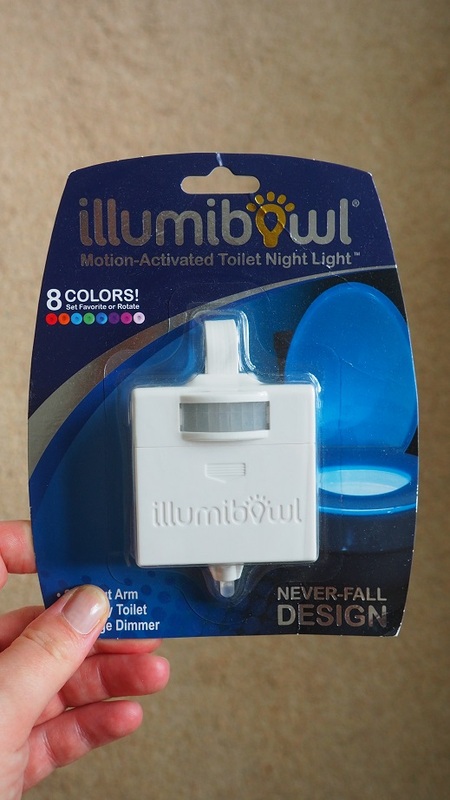 IllumiBowl is the world’s first Toilet Bowl Night Light. The concept si simple, yet genius! 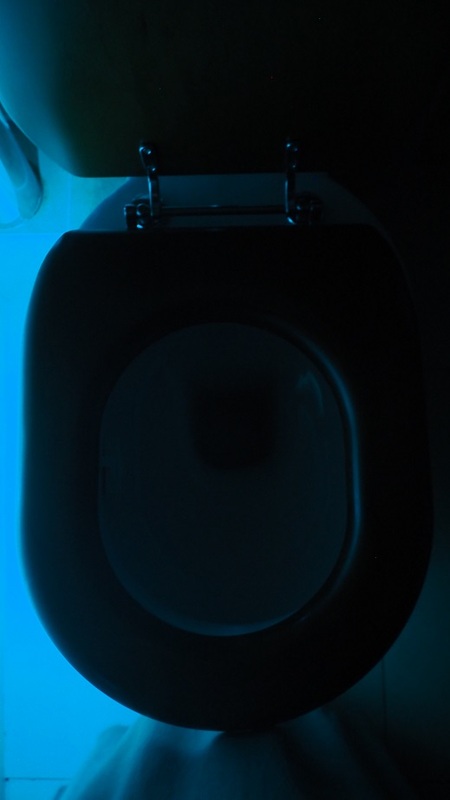 It’s light-sensitive so it will only turn on in the dark and motion-activated so it will only light up when you walk into the bathroom at night. Another great feature is that you can have it scrolling through various colours or set it up on one couleur only. Imagine having a rainbow in your toilet! Parfait when your little one is doing colourful poops! A new gadget to try! Yeah!!! When the lights are off and it senses movement, it lights up. So it’s not on when there is already light so that it saves the batteries. I told you that it was génial! Simple instructions! Anyone can do it! Un autre plus? 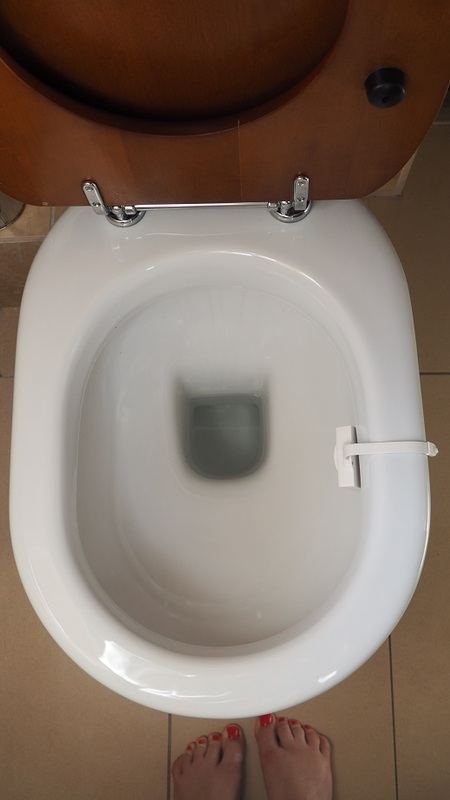 IllumiBowl adjusts to fit on any toilet, meaning you never have to worry about it ever falling off! Finding the idea a bit eccentric? Peut-être at first, but once you tried it, you will not want to live without it! Not only it’s a wacky gadget that you want in your bathroom (all your friends will be well jealous! ), but it’s also simple to instal and use. So facile indeed that even Frenchie Mummy managed to set it up without Grumpy Boyfriend. Et voilà! You are ready to enter a new age! The one where you are a geek dans les toilettes! All set up, ready to go! You think it’s a bit crazy? Think twice! If you are like me and hate having the full light on in the night, this is the perfect compromise. If I have to get up, I don’t want to wake up my entire family by swearing when I bump into something! Loving it when I do a wee in blue! I wish I had it when I was pregnant as I would have avoided waking up my partner at night every time I needed a wee! I must admit that I also like the idea to go to a disco when I go to the bathroom. Grumpy Boyfriend can’t make a mess in the dark. And Baba? Well, he has been very intrigued by it so far. Bien sûr, he is too young to use the toilet but I reckon that Illumibowl will be one of my most important allies when we are potty training him. Imagine how fun it will be for him! It seems like such a great idea! Kids will love it and find it so amusing! They won’t be waking you up anymore at night if they need the loo! That why I think that Illumibowl a THE family friendly gadget and not only a trendy little white box. IllumiBowl – A gadget that travels! I actually love it so much that I took it with us while we were away this weekend! Pourquoi? Here again, it happened to be really handy when I wanted to use a bathroom that I was not used to in the dark! And as it’s so easy to clean it (to take it away), why go without it everywhere with you? To clean off your IllumiBowl, simply wipe it off with wet wipes, a damp cloth, or whatever you already use to clean your outer bowl. Pee Frenchie everywhere you are going! 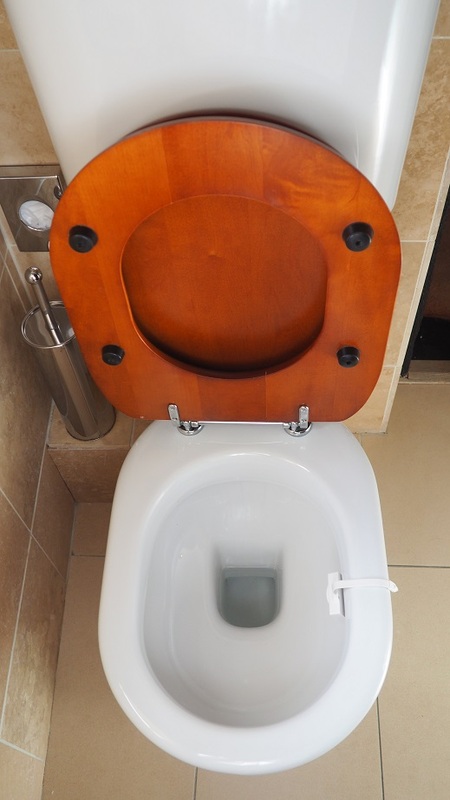 I have tried our Illumibowl in three different toilets and it fitted parfaitement in each one! So everyone should have one in their salle de bains! Do you want one now? Go and check it here. And don’t miss the Potty Humour section! It’s worth a read! 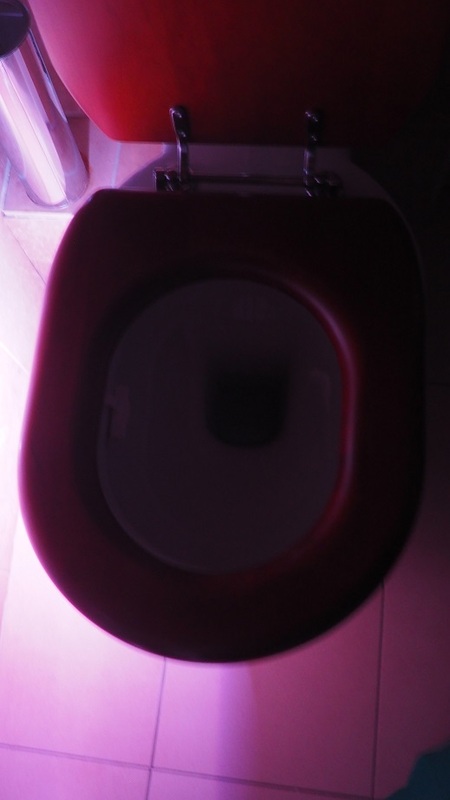 Well, it’s your lucky day as we teamed up with the fabulous creator of this famous toilet night light and we have three of those jewels to give away! Everyone will be so jaloux of you: family, friends, neighbours… EVERYONE! Now time to win an IllumiBowl worth more than $12. The closing date is 11:59 pm on Tuesday 13th June 2017. Provision of the prize is the responsibility of IllumiBowl. How cool is that, like having a rave in your toilet. And making life so much easier at night. this is a great idea!! be handy for my little girl. Fantastic little gadget and very useful too! How cool, I have never seen these before, my kids would think it’s fab. Seems a very useful thing. I hate having to turn on a bright light when i’m still half asleep. Perfect so I don’t wake my husband in the night when I pay a visit. This would be great for when my nephew comes to visit. One of these would be perfect for me because I’m pregnant and have to go to the toilet every couple of hours during the night and can never see a thing! Perfect for night time visits to the loo. No excuses for missing the bowl now boys ? This is such a great idea. I love this! A great review, and glad that grumpy boyfriend didn’t have to help you out 🙂 Such a brill idea! would the light help the males in my house to aim properly? Fabulous idea, would love to try this! This would be perfect for when my children get up in the night. This is great i’ve honestly never seen anything like this before so cool. Amazing idea. Really innovative. Loo-ve it. this is such a fab product, so ideal for when you have little person getting up in the night. Can’t help thinking the light is in the best place to detect motion! This would be great for when my nieces stay over. What a great product, thanks for the chance to win it! What a great fun gadget. Perhaps the boys aim will be better now. I would love this to be the cure for my partners son who is 5. He pees all over the floor and it drives me nuts! A great idea and perfect for any age – not just young kids. The purple one is fabulous! What a fantastic idea, I would love one of these. Thanks for the giveaway. I love this little gadget! I think it would encourage my son to be a bit more … direct … when he’s aiming! This is sooooo good. Perfect when ya half asleep goin the loo. Need one! What a handy gadget – suitable for young and old! My kids would love this, and my husband he loves all new gadgety things! This looks fantastic! With 3 kids, one who’s recently been toilet trained, not forgetting the hubby (kid 3.7) this would probably prevent alot of mess! This is amazing! Looks so cool. Would love one of these, would be great for my when daughter getting up through the night! She has a tendency to fall asleep on the loo! ? I so need this for the young men in my house who seem to have a bad aim and end up getting urine on the toilet seat and on the floor! Perfect for our son who is mastering ‘standing up wees’ & our daughter about to start potty training! This would really help as have to leave landing light on at the moment and it shines through the gaps in my door. Great idea and I am sure my kids and my big kid (fiance) would love it too. I absolutely love these 🙂 such a good idea, and the colours are so much fun! This is brilliant! I am fed up of waking up to a messy loo in the morning! This is amazing!!! This is perfect for my son! He can never aim right in the dark ? Next Next post: Living Arrows 20/52 – Back in West Sussex!